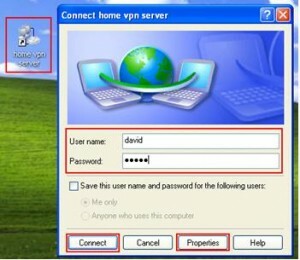 Trying to choose the right Virtual Private Network (VPN) can sometimes be overwhelming. Even though most Internet users are learning the importance of subscribing to a VPN service to ensure their private information remains secure while they surf the web. However, more and more people are concerned with the cost of a VPN service because of the economic situation around the world. This has cause many people to fall prey to many of the VPN providers that are offering their services for free. Free vs paid VPN services need to be looked at carefully, because not every free service is really free. There is always some type of cost, even when it comes to the VPN providers that say their service is free. However, before selecting a VPN provider you need to compare free vs paid VPN services just so you know what to expect when subscribing to one or the other. Since cyber crimes has been rapidly growing over the last decade, it has become extremely important to ensure that your data transmissions are kept as safe and secure as possible. This is why so many users are looking at VPN services. However, there are major differences between a free VPN provider and a paid VPN provider. Free VPN services generally do not provide you with the same security protocols that paid VPN services offer you. For example, a free VPN service may only offer you PPTP or worse, which is being blocked in China. Even if you do connect to the free VPN service, you will not be able to secure your private information or get around the firewall used by the government of China. A paid VPN service will offer you several different security protocols to choose from, including the type used by banks and credit card companies. When it comes of free vs paid VPN services, the free services often sell you information to marketing companies. Many of these free services sell all the data they compile about which websites you visit most or what you are searching for and that is the way they make their money. Paid VPN services will not do this because you are paying them to keep your Internet usage anonymous, as well as secure from unwanted marketing companies. One of the biggest differences between free vs paid VPN services is the bandwidth provided. As you already know, bandwidth comes at a price. Because of this, free VPN services provide you with as little bandwidth as possible. You may not even be able to watch YouTube because the video keeps buffering or stopping to download the video when there is not enough bandwidth. Paid VPN services offer you different bandwidth options. Lastly, most free VPN services sell ad space, so you are inundated with ads while you surf the Internet. Paid VPN services do not sell ad space. You can surf the Internet without all those pop-up ads you would see with a free VPN service. After conducting an intensive review of all the VPN services, whether they were free or paid, we have come up with a list of VPN providers that you should take a look at. We ranked these VPN providers by looking at their cost, the access speed available, the security protocols they offered, the number of servers and the location of those servers around the world, whether the VPN service sold you information to marketing companies and if those VPN services bombarded you with online ads.